The Royalton Luxury High Rise Condos...Stunning visual and informative guide to Apartment's, loft's, and High Rise living in Houston and the surrounding area. 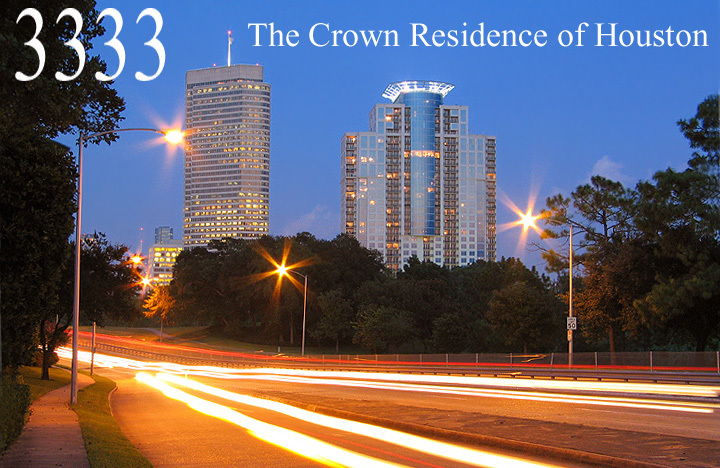 In this city where monumental skyscrapers rule supreme, 3333 Allen Parkway is the crowning glory of Houston’s urban revitalization. With 33 stories of exquisite apartment homes, 3333 captivates residents with its powerful location, romantic views, and unequaled access to the city’s urban pulse points. Towering above Allen Parkway, these high rise condos are topped with a sculptured metal crown that serves as its iconic signature. Residences are available for immediate occupancy. Sweeping cinematic views are the hallmark of each 3333 residence. 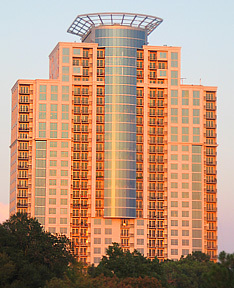 The second tallest building on Allen Parkway, this 33-story tower is purposely situated to maximize the views of Downtown to the East, River Oaks/Memorial Park views to the West, Houston Heights views to the North, and Medical Center & Greenway Plaza views to the South. The Royalton reflects the kind of timeless style and easy elegance that comes from impeccable architectural detail, graceful interiors, and an abundance of amenities. The extensive list of artful accommodations, bountiful bed & baths, grand gourmet kitchens, premium construction highlights, and hospitable resident services prove that The Royalton is destined to become Houston's new landmark for luxuriant living. 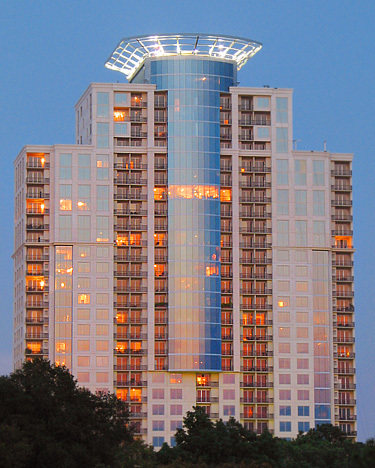 33-story high rise located on Allen Parkway at Rochow. Across the street from Buffalo Bayou jogging trails and park. Minutes to Downtown, The Theater District, River Oaks, and Memorial Park. 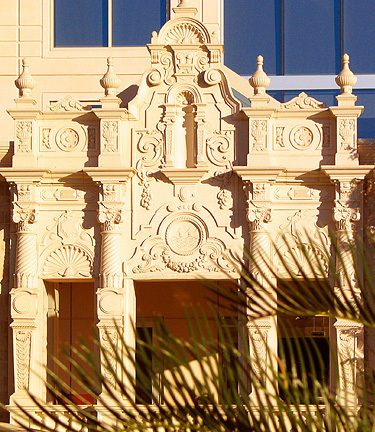 Accessible to The Galleria, Greenway Plaza, Uptown, Midtown Museum District, and The Texas Medical Center. Convenient to Houston’s finest dining, entertainment, sporting venues, and shopping. Leases are also available, contact George Hosek 281-782-3270 for details. Memorial Park is one of the many attractions located near The Royalton. 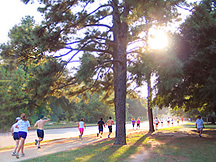 Jogging run the length of both Allen Parkway and Memorial Drive, also Memorial Golf course is located just a few miles away. Gently tracing the bends and bluffs of Buffalo Bayou, Allen Parkway is loved by Houstonians because it drives through the heart of Houston's heritage and paves the way to its future. This beautiful drive from River Oaks to Downtown showcases Houston’s skyline from its most majestic perspective and serves as the city’s central park. 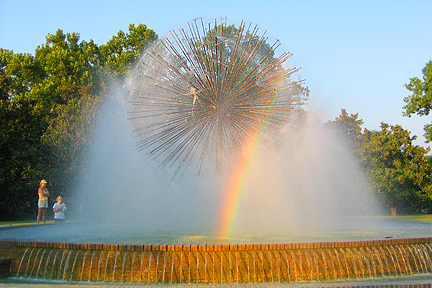 An invigorating place to call home, Allen Parkway is the place for friends to find fountains, footpaths, festivals, and fireworks. by its unequaled convenience to everything. 1. Just a couple minutes to Downtown, The Theater District, Museum District, River Oaks, and Memorial Park. 2. 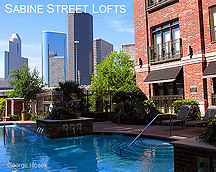 Ultra convenient to Houston’s finest dining, shopping, entertainment, and sporting venues. 3. 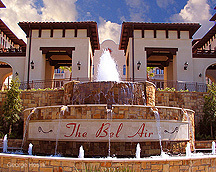 Within 5 miles of The Galleria, Uptown, Midtown, Greenway Plaza, Rice University, and Texas Medical Center.